1. Where should the dish be installed? If your device can detect location (has GPS or WiFi), and you are at the place where the dish should be installed, you can just click on the [Track my location] button on the map. You'll have to agree to share your location with the site. When the location has been detected, you must click the same button, which is now called [Stop tracking]. Then you can adjust the desired installation location manually again. 3. Zoom the map if needed, then click on the exact place where you wish to install the dish. You can also drag the marker to the desired place. The line that shows the direction of the selected satellite will be green, for elevations above 5°, yellow, for elevations between 0°-5°, or red, if the satellite is below the horizon. Even with a green line, sometimes the satellite isn't visible: for example in an apartment building, if your windows/balconies are on the opposite side from the satellite. 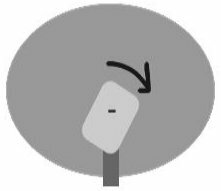 In order to receive the signal from a satellite, the dish has to point very precisely in the direction of that satellite. Geostationary satellites are placed on an orbit above the Equator, this means that from the Northern hemisphere they are seen generally towards the South (South-East, South-West). The dish must have a clear view towards the satellite, without any obstacles. A geostationary orbit [...] is a circular orbit 35,786 kilometres (22,236 mi) above the Earth's equator and following the direction of the Earth's rotation. An object in such an orbit has an orbital period equal to the Earth's rotational period and thus appears motionless, at a fixed position in the sky, to ground observers. Communications satellites and weather satellites are often placed in geostationary orbits, so that the satellite antennas (located on Earth) that communicate with them do not have to rotate to track them. A tree can obstruct the satellite signal, in which case the dish should be installed in a higher position. 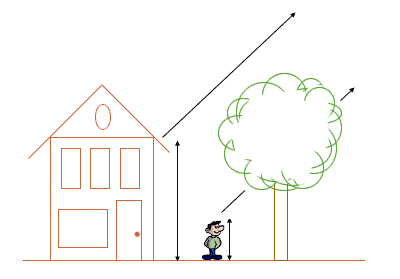 If you need to check if a possible obstacle (a tree, a nearby building and so on) will obstruct the signal from the satellite, move the mouse cursor to the point where the line representing the satellite's direction meets the possible obstacle. If using a smartphone or tablet, click on that point. If there is such an obstacle and you can't install the dish in a high enough position to avoid it, you'll have to choose another point on the map where you could install the dish. Most satellite TV transmissions use the so called linear polarisation, which in practice can be either vertical or horizontal. This means that the vector of the electric field of the electromagnetic wave received from the satellite is in a horizontal plane for some frequencies, and in a vertical plane for others. 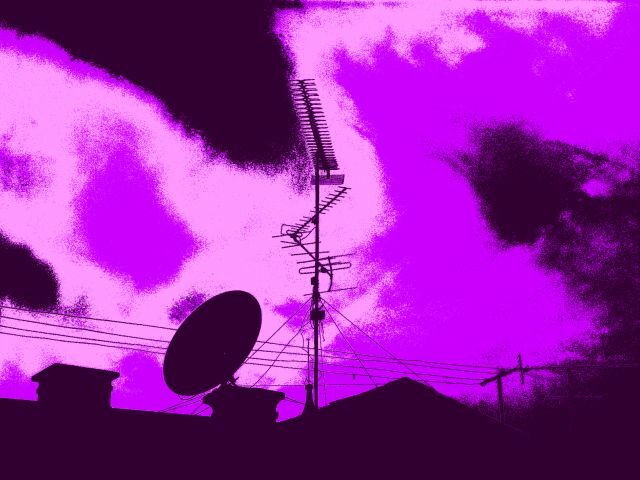 For optimal reception, the receiving antenna should be parallel to the satellite's emitting antenna. This will also ensure that the signals from the other polarity are completely eliminated, since they can be on a nearby frequency or even the same frequency. 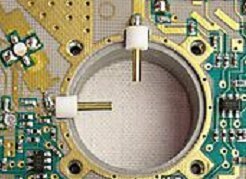 This possibility of separating signals by polarity practically allows doubling the number of transmissions on a satellite. But, because satellites are on a circular orbit around the Equator, the vertical (and horizontal) of the satellite are rotated according to the vertical and horizontal at the orbital position of the satellite. For an observer on Earth, only the satellite at the local meridian will have the same vertical and horizontal (for example in London this is approximately the satellite Thor at 0.8°W, for all the other satellites the vertical and horizontal will be tilted, the more so for satellites that are farther to the East, or to the West. Actually there are 2 antennas, one for horizontal polarisation, the other one for vertical polarisation. The LNB skew is the angle of the LNB from its vertical position, that ensures the receiving antennas inside the LNB are parallel to the emitting antennas of the satellite, considering all the above. The following information is for the Northern Hemishpere. For satellites that are to the West relative to the dish, the skew will be shown as positive, and the LNB should be turned counterclockwise, if facing the dish from the front. For satellites that are to the East relative to the dish, the skew will be shown as negative, and the LNB should be turned clockwise, if facing the dish from the front. This is only needed for signals with linear polarisation. 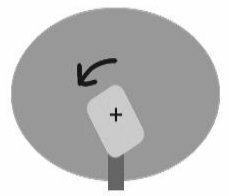 For circular polarisation, there is no need to adjust the LNB skew. For a motorised dish, as the dish moves on its curve in order to receive the satellites, the LNB skew changes for the optimum reception of each satellite.